Pastor Scott concludes the series on Stewardship. This is Stewardship Sunday! The text is Luke 6:37-38. Pastor Scott continues the series on Stewardship, this time focusing on generosity. The text is 2 Corinthians 9:6-12. Note: At 22:30 minutes into this recording there is a technical problem that makes it very difficult to hear the rest of the sermon. 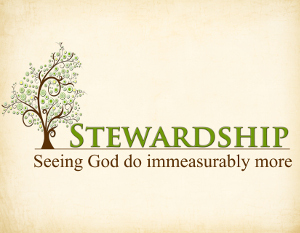 John Tomberlin introduces a 4 week series on Stewardship. The text is Genesis 1:26-31 – God’s first assignment to us as stewards! Matthew 6:19-24 provides the context for Scott Puckett’s observations about treasure.